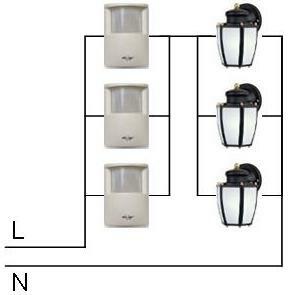 Situations can arise where it would be very convenient to have more than one motion sensor or motion detector, as shown in Figure 1, turn on the same group of lights. This is a common occurrence with long wheelchair ramps. 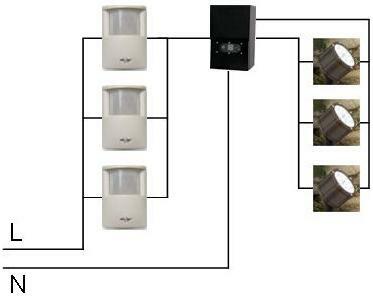 As long as at least one motion sensor is detecting motion, the lights will remain on. Each of the motion sensors must be individually rated to handle the total power load of all of the lights that you wish to turn on. 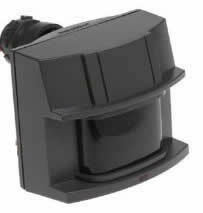 As an example: if you have 3 motion sensors and each motion sensor is rated for a maximum of 500 watts then the total amount of wattage that you can turn on is 500 watts – not 1500 watts. 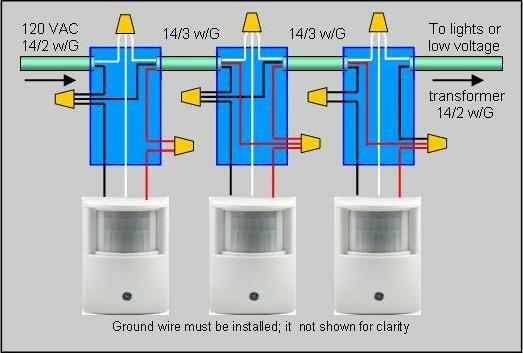 Figure 2 is a schematic of the wiring of 3 motion sensors to a group of lights and Figure 3 is a diagram of the actual wiring connections. You can have as many motion sensors as you want in parallel. You can use the same basic multiple motion sensor circuit to turn on low voltage lights by switching the input power to the low voltage transformer rather than the individual lights, as shown in Figure 4. This wiring configuration does not change any of the parameters for the calculations that you still must do to determine the wire gauge for the low voltage wiring.